The world's two largest sources of greenhouse-gas emissions are finally coming together to take some responsibility. On Tuesday, the U.S. and China agreed to reduce greenhouse emissions drastically over the next two decades. President Obama met with Chinese President Xi Jinping in Beijing, where they negotiated the historical deal for climate change that sees China, responsible for releasing the most greenhouse gases in the world, agreeing to cut its emissions for the first time ever. The deal between the two global powerhouses could set a precedent for talks at the United Nations Climate Change Conference in Paris next year. In accordance with the deal, the U.S. must reduce its 2005 level of carbon emissions by 26-28 percent by 2025, while China must peak its ever-growing emissions by 2030 or earlier and concurrently increase its use of zero-carbon emission energy sources by 20 percent by the same year. As the world’s largest economies and greatest emitters of greenhouse gases we have special responsibility to lead the global effort against climate change. I am proud we can announce a historic agreement. I commend President Xi, his team and the Chinese government for their making to slow, peak and then reverse China’s carbon emissions. Indeed, the U.S. and China together have produced the largest chunk of the earth's carbon footprint, accounting for 40 percent of the world's greenhouse-gas emissions. To contain and reverse that kind of output will take a lot of work, but for now the two countries seem committed to the task. How Will the U.S. and China Reach Their Goals? For the U.S., reaching the emission goal by the targeted year would mean doubling the pace of carbon reduction from 1.2 percent per year on average from 2005 to 2020 to 2.3 to 2.8 percent per year from 2020 to 2025. For China, it would mean the introduction of 800 to 1,000 gigawatts of wind, solar, nuclear, and other zero-emission energy sources by 2030. That would be a capacity totaling more than all of the coal plants that currently exist in China. But nowhere is the earth's deteriorating environment more evident than in the middle kingdom, where the pollution is so dense it can often be difficult to see the building next door to you. 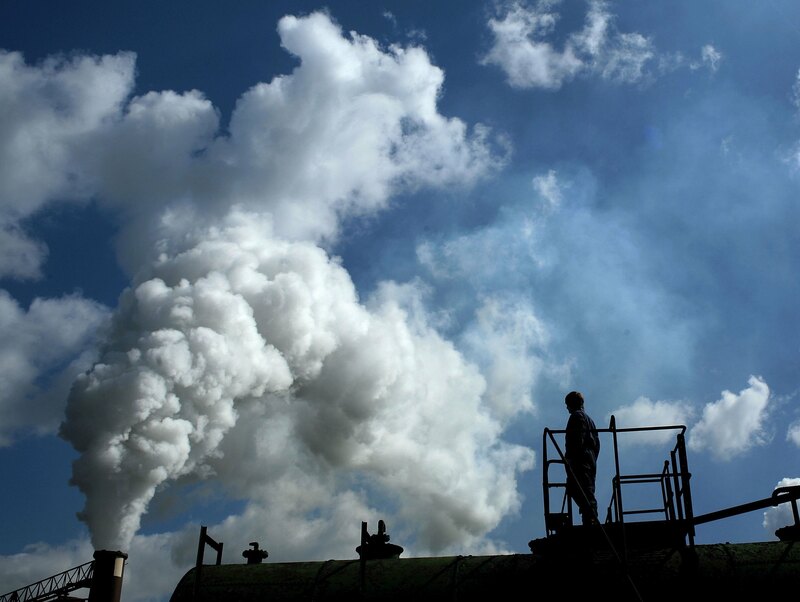 China's rapid industrial growth, which has helped its economy grow by about 10 percent GDP every year for the past decade, has also plagued the country with grave environmental issues. China is responsible for about a third of the entire world's carbon emissions and is home to 16 of the 20 most polluted cities in the world. China's air pollution alone, which has been dubbed the "airpocalypse," has even decreased life expectancy in some areas by 5.5 years. On some days, the level of pollutants in the air in Beijing reaches 20 times higher than what's recommended by WHO. According to the Economist, China's current rate of cumulative greenhouse-gas emissions from energy production between 1990 and 2050 will equal the total generated by the whole world from the beginning of the industrial revolution to 1970. Hopefully China's latest agreement with the U.S. will spell the change that's desperately needed to improve living conditions for its people and move the needle in the right direction for global environmental reform.